Who else is ready for spring!? 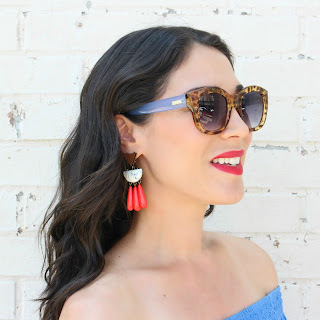 Since the weather is not cooperating around here, I'm getting in the spring mood by shopping the latest trends for the season. 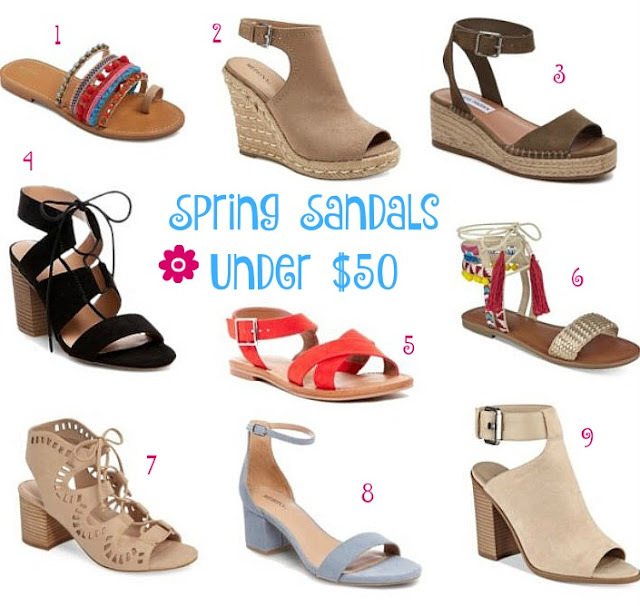 Today I'm sharing some spring sandals all under $50! Perforated sandals, espadrilles, block heels, lace-ups and colorful sandals are some of the most popular shoe styles this spring/summer. I've rounded up some of my favorites in the collage above and added some more in the widget below!